​Travellersxpress specialises in reclaiming superannuation as a 3rd Party on behalf of their registered clients​. 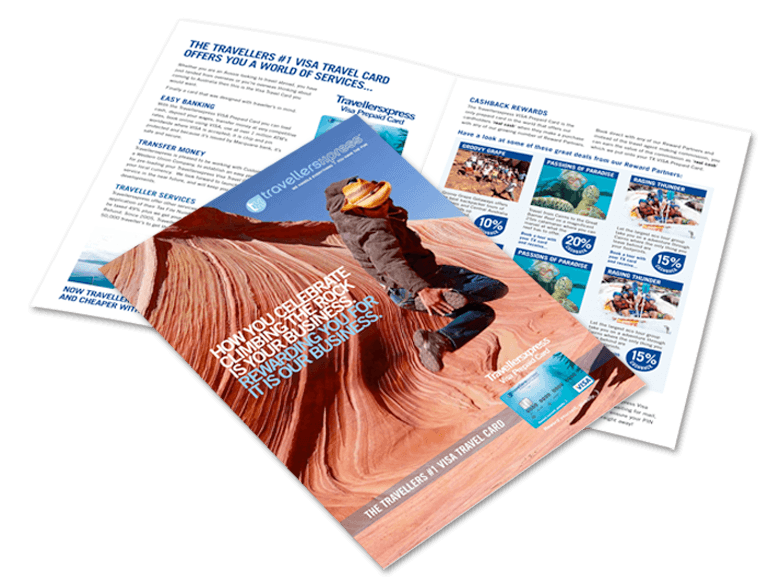 ​The client wanted to present their complex service in a clear layout that was professional ​whilst still appealing to the young traveller's market. This piece became the cornerstone look and feel for their future branding.